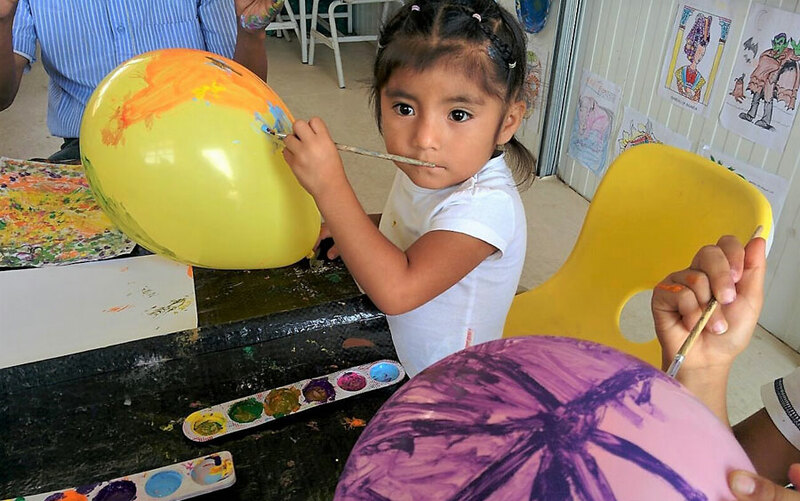 Our After-School Program takes place every day after class. It is free, open to all, and most importantly it provides a safe & structured environment to the schoolchildren. Our "Different but Equal" motto promotes cultural diversity, acceptance and respect for one another's differences. 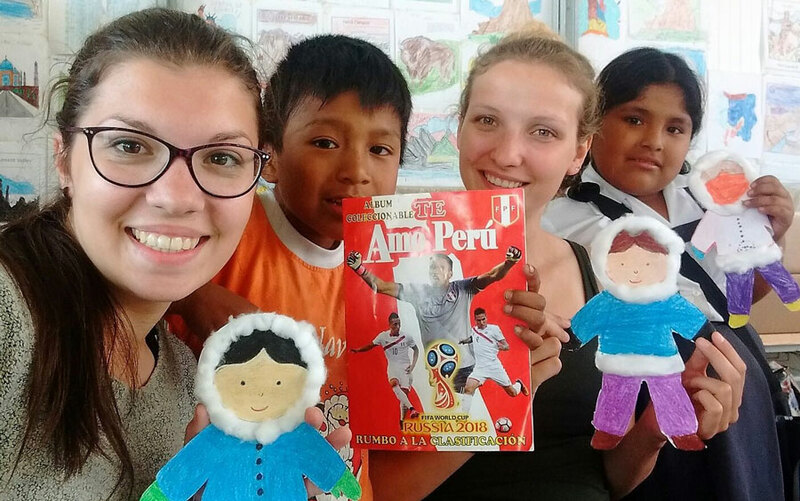 Our volunteers create a range of art, craft & sport activities around a new country each week. 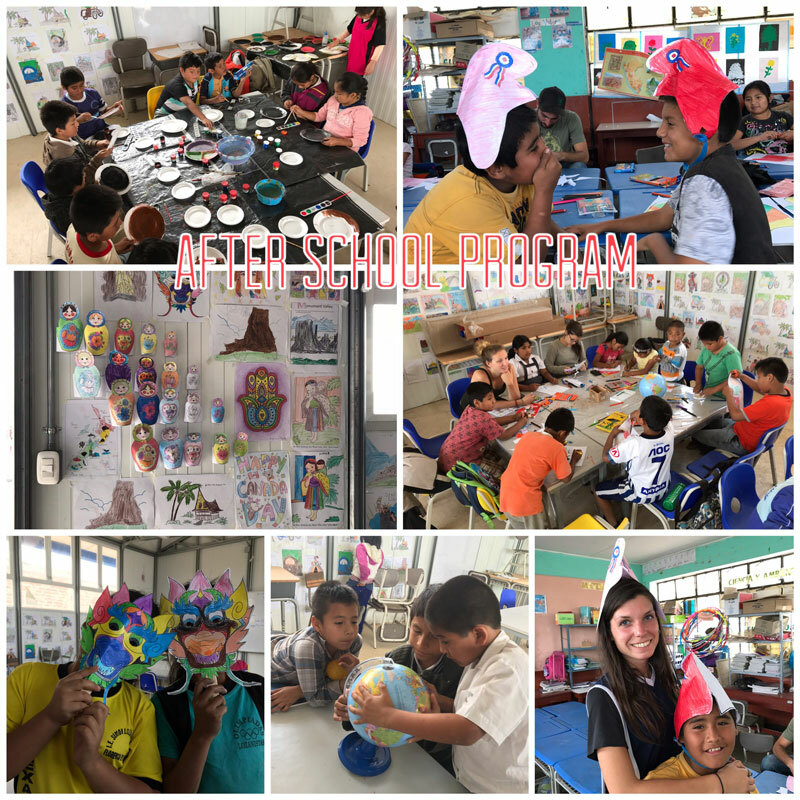 This cultural exchange program allows children to broaden their vision of the world, to form and express opinions creatively, and to value their own culture by reflecting a positive self-image. 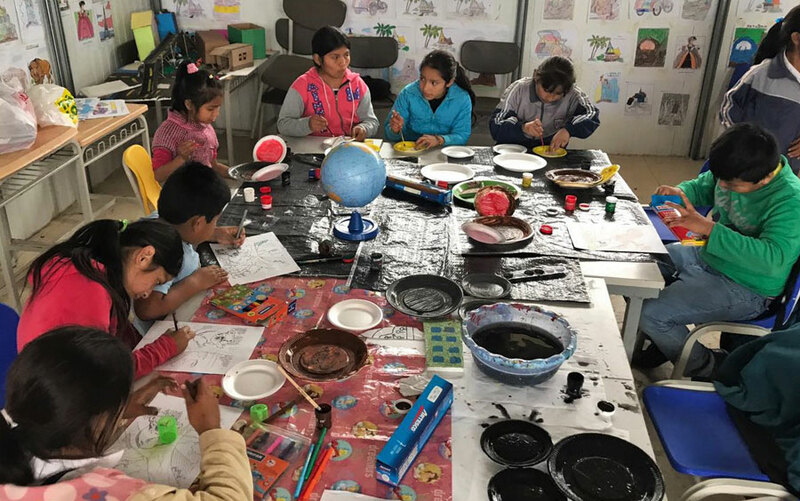 The After-School programs aims at promoting cultural sensitivity. 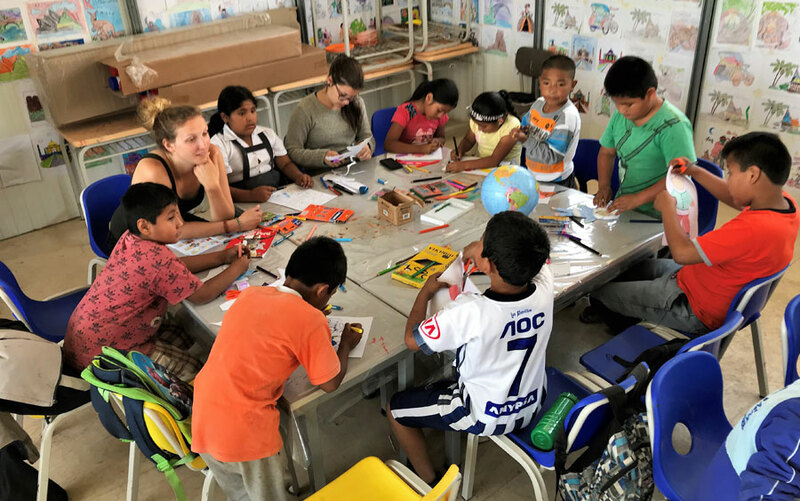 Our volunteers introduce kids to the cultural traditions of other peoples. 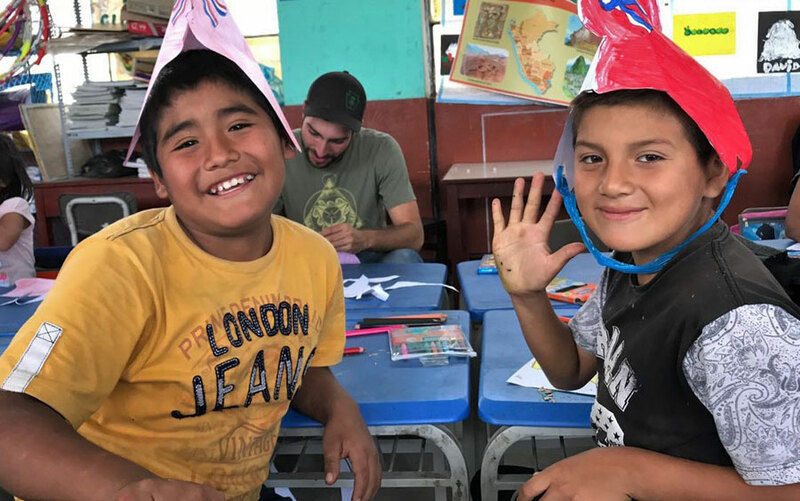 They encourage open discussions about differences or similarities with Peruvian culture, assumptions and preconceived notions in a non-judgemental atmosphere that stirs up kids' curiosity. 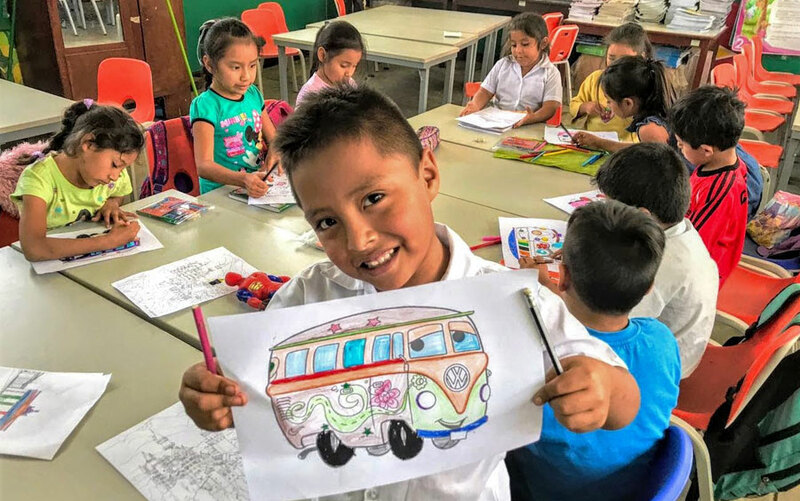 As a result, children learn to recognize the importance of equality and diversity by treating each other with respect and by accepting their differences – therefore highlighting the positive impact of our motto "Different But Equal". 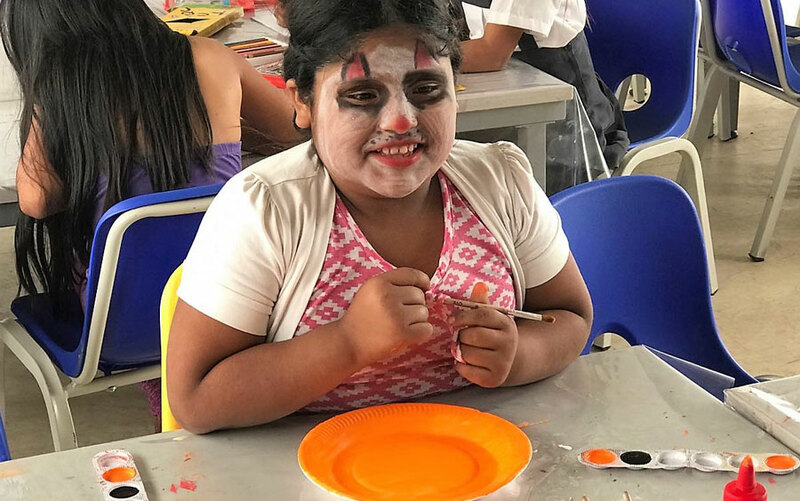 In the After-School program, children and volunteers create an inclusive culture for all, through talk, play and fun art activities.